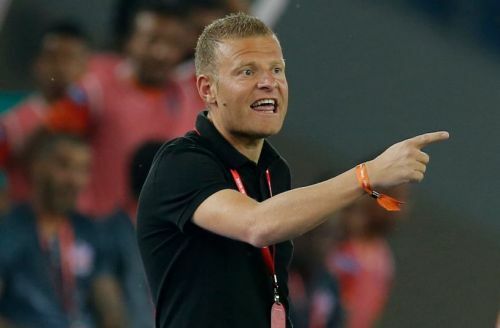 ISL 2018-19: How the Big Guns of Delhi Dynamos fared so far? The Indian Super League always brings us surprises. Both the two-time Champions, ATK and Chennaiyin FC, are currently sitting at the bottom of the table at number 10 and 9 position, respectively, and are yet to open their account. Meanwhile, five teams -- FC Goa, Jamshedpur FC, Kerala Blasters, Bengaluru FC, NorthEast United -- are grappling for the top spot with four points from two matches each. Delhi Dynamos and Pune City FC, the only two teams to have played only one match each, are at the sixth and seventh position, respectively. ISL Season 5 is an opportunity for the Delhi-based franchise to finally prove their worth and they have all the armoury to do it this time. Delhi Dynamos began their season 5 campaign with a 1-1 draw against Pune City FC in which their Indian defender Rana Gharami scored a scorcher of a goal to give them the lead. However, they would be a little disappointed to concede a late equalizer at their home, Jawaharlal Nehru Stadium in New Delhi. Although it is early on in the season, watching the first 90 minutes of gameplay gives a decent idea of how the team may fare in the coming season and who are the key players. In this article, we take a look at how the big guns of The Dynamos -- namely Marcos Tebar, Pritam Kotal, and Rene Mihelic -- have fared so far in this edition of the Indian Super League under the guidance of their new Head Coach Josep Gombau. He had a good link-up play with Kaludjerovic, which is a really positive sign as that is the duo expected to bring the majority of the goals for The Dynamos this season. Last season, Mihelic had two goals in his 14 appearances for the Marina Machans. The Slovenian midfielder was the anchor in the centre of the park for Chennaiyin FC in the previous season. His form was crucial for the success of the defending champions as he acted as the pivot between the defence and midfield. With The Dynamos on a one-year deal, Mihelic showed glimpses of what he is capable of doing in the match against The Stallions. This time around, he will be looking to increase that number a little as Delhi do not have their goal-scoring machine -- Kalu Uche -- with them now. On one occasion in the match, Rene found Kaludjerovic in an excellent position but the latter was deemed offside. He was also quick to react on counters and rushed to help out his defence when The Stallions were on a break. 1 tackle, 42 passes, and 57.14 percent passing accuracy -- these are his stats from the first match and one can only expect them to improve. Even though he contributed well, 30-year-old was not as prevalent or influential on the pitch as he was during his Chennaiyin days. In one of the corners, Rene directly went for the goal which caught everyone by surprise, including FC Pune City keeper Vishal Kaith. Even though he missed out as the ball curled out, only a player of immense calibre has the audacity to make such an attempt. Rene's contribution will be vital for the Delhi-based franchise in their upcoming matches. The 30-year-old, along with Marcos Tebar, needs to make a much bigger impact in the centre of the park if Delhi are to succeed.